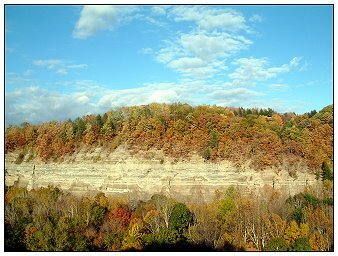 Located prominently in the Valentine Flats section of Zoar Valley this very unique rock formation stands proudly above the Cattaraugus Creek. 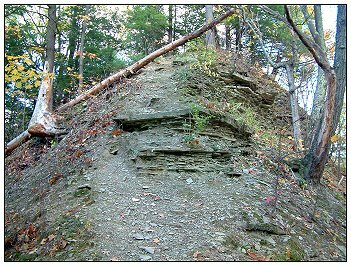 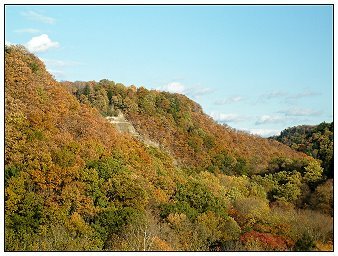 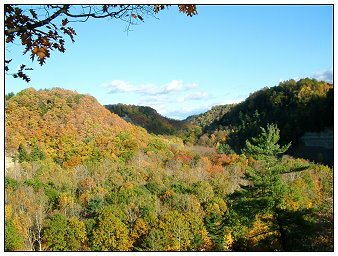 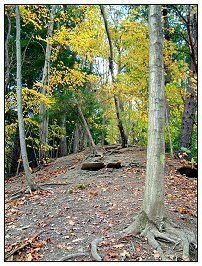 It is shaped like a three-sided pyramid with two sides forest-covered and the third side a 120 foot sheer cliff directly above the creek. 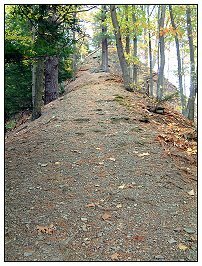 The elevation of the top, which is only 15 feet wide, is 1012ft. 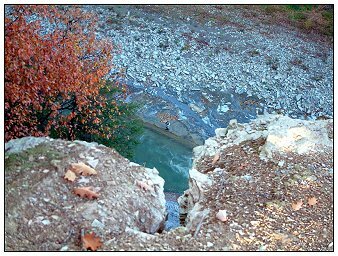 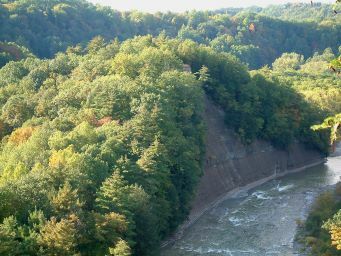 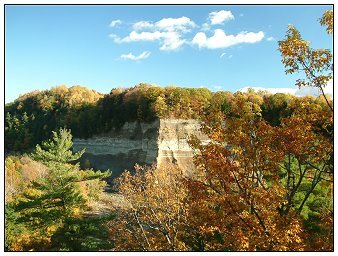 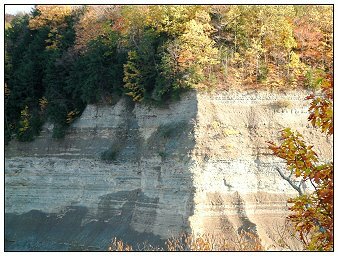 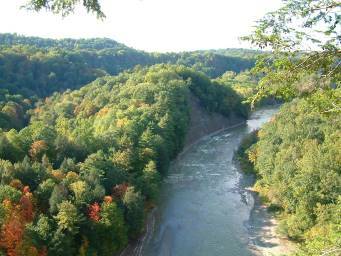 The view from up top is spectacular albeit dangerous, the side facing the Cattaraugus Creek is straight down. 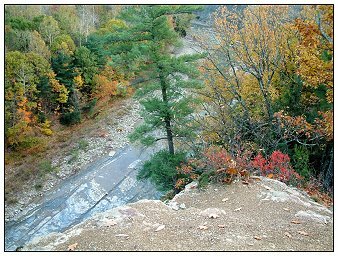 From this top, there is an awesome panoramic view of the surrounding area. 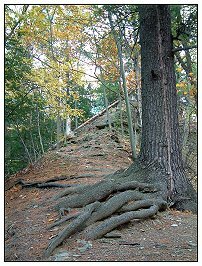 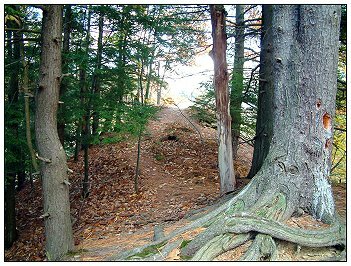 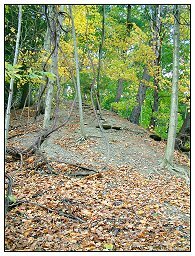 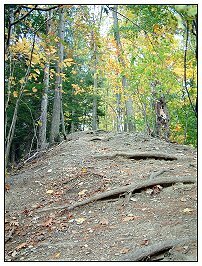 This unusual pyramid hill is the only known feature of its kind in all of North America.